Extremely rare object. The Djanger dance is not performed on Bali for many years. 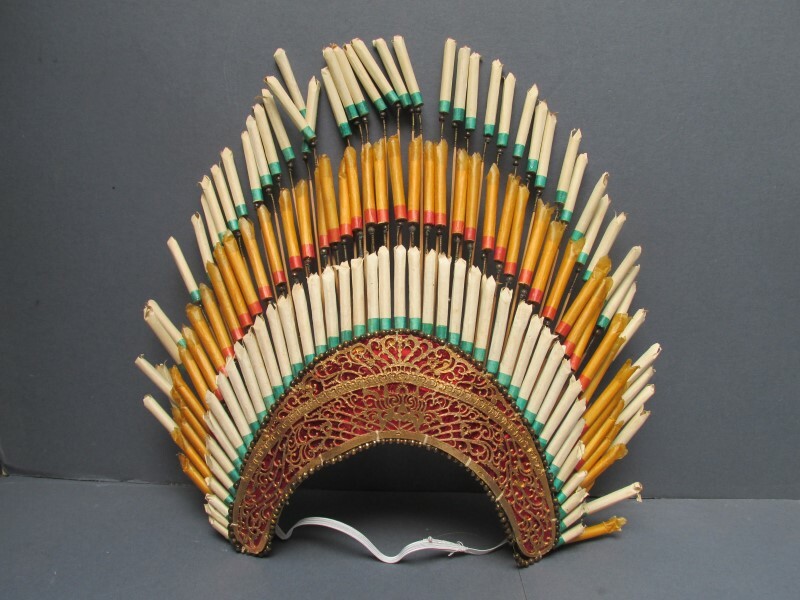 Djanger hats appear seldom on the market. The hat is made manually with several materials. Pls click on the photo to get more info and photos.